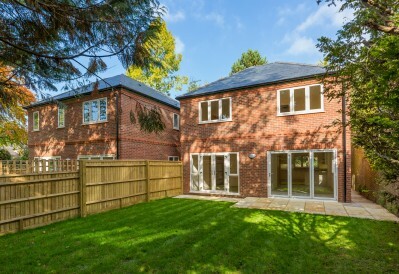 HAP have just finished this small development, working along side Borsham Developments Ltd to create two stylish new build, four bedroom detached homes and refurbishments of both The Orangery and The Coach house. Vernon Gardens is ideally situated within a short walk of the station providing a frequent service into London Marylebone, with the fastest trains taking approximately 28 minutes. The new build accommodation comprises entrance hall, cloakroom, living room with French doors, fitted kitchen/dining/family room with French doors, utility room, master bedroom with ensuite shower room and three further bedrooms served by a family bathroom. Outside there are attractive landscaped gardens and parking. For more information on our projects, follow us on Twitter and LinkedIn.